Delly Talks Being In Vogue Magazine, How Harlem Shaped His Sound/Style + New Single "Silk City"
Shazam Review + What Did Chris Evans DM Charlamagne About Avengers Endgame? Blueface talks who really created the word "thotiana"
Motherhood! Are doing it right? Are our kids being raised the right way? Burnsev Talk Unity, Gentrification in NYC, Opening For A Boogie, + Their Hit Record "Gotta Go"
King Combs Opens Up About His Mother Kim Porter's Passing & Keeping The Bad Boy Legacy Going. iHeart Radio presents "Comic Kings" a show about all things nerd. Charlamagne Tha God & Gabriel Pabon weigh in on everything going on in the superhero world of entertainment whether it be on the big screen or in the books. Charlamagne Awards the Donkey of the Day! Metro Moves educates and entertains listeners with engaging content by highlighting lifestyle and wellness 'influencers' who relate to people in an authentic way. On The Radar features Interviews with some of the hottest up and coming artists from the tri-state area & across the country! The Power Download w/L. 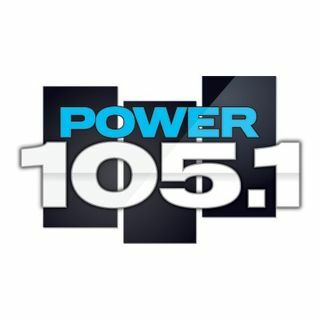 Boogs is a weekly wrap up of The Breakfast Club, The Angie Martinez Show and everything Power 105.1fm and of course the wonderful internet.